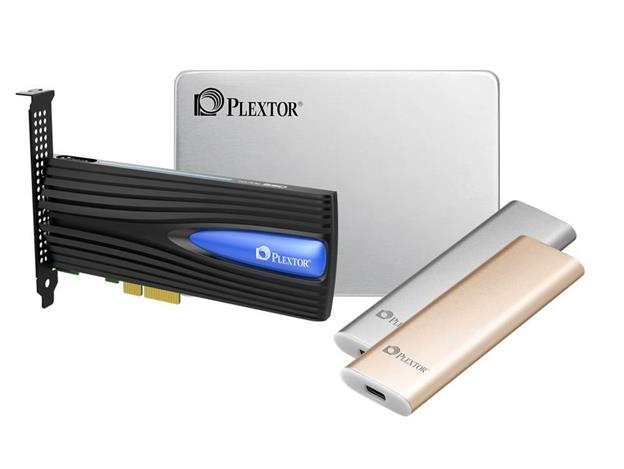 PLEXTOR, a leading developer of award-winning solid state drives (SSDs) and other high-performance digital storage devices for consumers, today announced it will introduce its first 3D NAND SSD during a “sneak peek” media event at CES 2017. “Consumers are doing far more with computers than they ever have, whether it’s doing graphic design, watching full-length movies or playing intense video games. All of that requires storage systems capable of handling the expanding needs of consumers, without fail,” said Christine Hsing, Global Marketing manager at PLEXTOR. “Our upcoming 3D NAND SSDs are designed to meet the ever-changing needs of our customers, no matter how basic or sophisticated. Alongside the new 3D NAND SSDs, PLEXTOR will also unveil its latest addition to the award-winning NVMe PCIe family with the M8Se Series, which is targeted at entry-level gamers and gaming enthusiasts without breaking the bank. The upcoming M8Se will also include a host of other features, such as the next generation heatsink to further reduce the risk of higher temperatures compromising system performance. PLEXTOR will also showcase its super sleek, lightweight, and ultra-slim external SSD - the EX1. With an ultra-compact size (1”x3”), almost weightless at only 30 grams, it is smaller and lighter than a deck of playing cards, making it ideal for road warriors requiring access to important files without internet connection. The EX1 is shock-proof, ultra-portable, and supports on-the-go (OTG) storage for Android devices. With transmission speeds up to 500/550 Mbps, it is a definite alternative to slow USB drives. Equipped with a Type-C connector and Plextor's powerful, high-performance SSD, the EX1 is a definite contender in external storage solutions. To add some peace of mind, the EX1 comes with optional data encryption software.